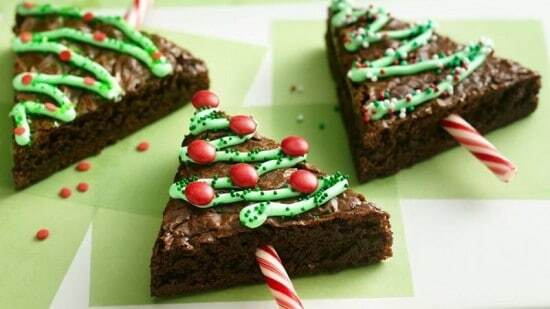 These Christmas Tree Brownies with Candy Cane are a breeze to make and are a wonderful addition to your Christmas table. It’s so simple that absolutely anyone can whip them up! The above Christmas Tree Brownies are from Betty Crocker. Stir food color into frosting. Spoon frosting into ziploc bag with snipped end or piping bag and frosting brownies.